SoulMade Simulations has posted another teaser screenshot from the de Havilland DHC-2 Beaver for X-Plane. Dan Klaue has revealed his Quest Kodiak project for X-Plane. Details and screenshots in the X-Plane.org Forums. Area 51 Simulations has released the long-awaited AH-64 Apache for FSX. Details and purchase at the Product Page. - Warning! This product is only for FSX!!! UK2000 has released update version 3.2 to Gatwick Airport (EGKK) for FSX and FS2004. Available at the Product Page. Taburet has released Geneva Photorealistic for X-Plane 10. Now available to purchase at SimMarket. The freeware Plan-G Data Files for all Orbx FTX North America regions are now available to download at OZx. McPhat Studios has posted several previews of the wing textures on the upcoming Coolsky Douglas DC-9 for FSX. FSDreamTeam has posted new development screenshots from the upcoming Vancouver International Airport (CYVR). FSAddon has released Real Earth Dolomiti X Collection - Volume 1 for FSX. Available at the FSAddon Store. The German Airports Team has posted the first beta preview pictures from Bremen Airport 2012 (EDDW) for FS2004. DH-Aircraft has posted another update on the development of the upcoming de Havilland DH 106 Comet for X-Plane. Aviasim has posted more development screenshots from the upcoming Leicestershire Aeroclub (EGBG) for FS2004. Aerosoft has posted more development previews from Heraklion International Airport (LGIR) for FSX. Ismail Hakki Guzel has released his damage modifications to the Carenado Beechcraft V35B Bonanza for FSX. - All Damage situations will be logged and saved. JRollon has posted the first preview renders from the upcoming British Aerospace Jetstream 31/32 for X-Plane. SceneryBox has released version 2 of the 'France X - Business Class' scenery for FSX. Purchase at SimMarket. Turbine Sound Studios has released the Bombardier Dash 8 HD Sound Package for FS2004. Available at SimMarket. The Commercial Level Simulations Airbus A330 Expansion Pack for FSX and FS2004 is now also available at SimMarket. SibWings has released version 1.15 of the Pitts Special S1/S2 for FSX. More information in the SibWings Forums. FSBreak Episode 106: PMDG Douglas DC-6B, Microsoft Flight Release Date, and Much More at the FSBreak Website. PC Pilot - Issue 78 - March/April 2012 is now available to purchase at the PC Pilot Website. The freeware Plan-G Data Files for Orbx FTX New Zealand South Island are now available to download at OZx. The FlightGear version 2.6.0 RC3 for Windows is now available to download at the FlightGear Website. Drzewiecki Design has posted the first preview from the upcoming Miami City 2012 scenery for FSX and FS2004. Bay Tower Studio has released beta version 5 of the Van's Aircraft RV-7 for FSX. Details in the Bay Tower Forums. 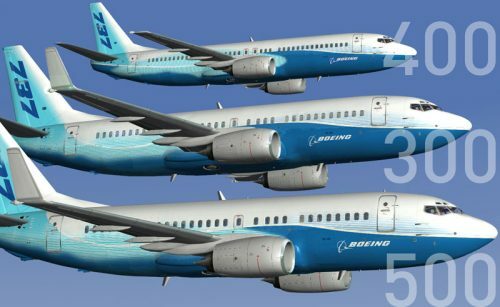 The feelThere Boeing 737 Pilot in Command Evolution for FSX version 1.2 is now available at Wilco Publishing. - Ability to change from digital to analogue instrumentation “on the fly” to match the 2D panel selection. Aerosoft is offering 20% discounts on select items during the Goodbye Ice Age Sale. Ends Monday, February 20th 2012. A_A Sceneries has posted this preview video from the upcoming Phuket International Airport (VTSP) scenery for FSX. The freeware Brigadeiro Franco Airport Lagos (LPLG) for X-Plane is now available to download at XPFR. The freeware Grand Teton National Park Photo Scenery for FSX by Frank Dainese is now available at Rikoooo. Blue Sky Scenery has released the freeware Vandenberg AFB (KVBG), Santa Maria / Hancock (KSMX) Photo Scenery. Ddenn Design has released patch version 1.5 to the Bombardier BD-100 Challenger 300 for X-Plane 9 & X-Plane 10. - Flight model in v10. Thank you very much Ian for your help! Seven-G has posted another preview video from the upcoming McDonnell Douglas F/A-18 Flight Simulator. Just Flight has released the Aeroplane Heaven Douglas DC-6 - Legends of Flight for FSX. Details at the Product Page. Pacific Islands Simulation has posted the final preview pictures from Puerto Vallarta International Airport (MMPR) for FSX. McPhat Studios posted this promotional video for the PMDG Boeing 747 World Airliners 3 High Definition Textures. FlyJSim has posted the official announcement for the upcoming Boeing 727 Series for X-Plane. The German Airports Team has posted the first beta preview pictures from Hamburg Airport 2012 (EDDH) for FS2004. George Keogh has released the freeware Ireland VFR Small Airports Part 2 scenery for FSX. Download at AVSIM. Leading Edge Simulations has posted instrument panel lighting previews from the upcoming Douglas DC-3 for X-Plane 10. Development of the Mil Helicopters Mi-2 for X-Plane 9 & X-Plane 10 has been announced in the X-Plane.org Forums.